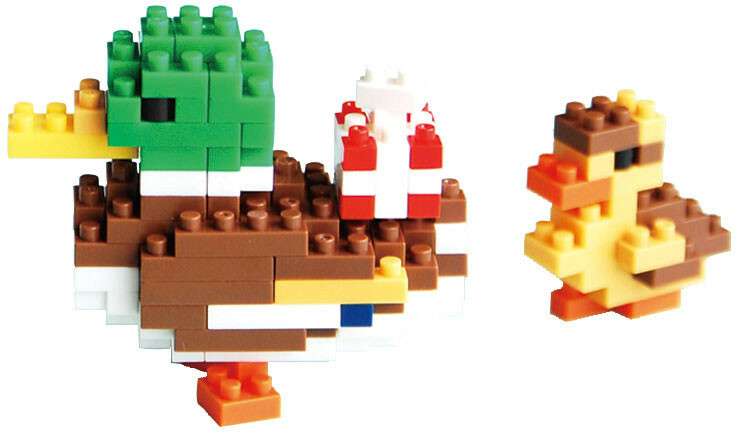 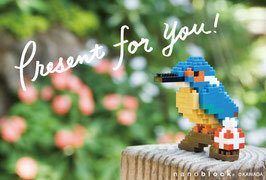 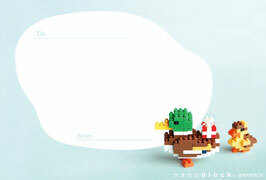 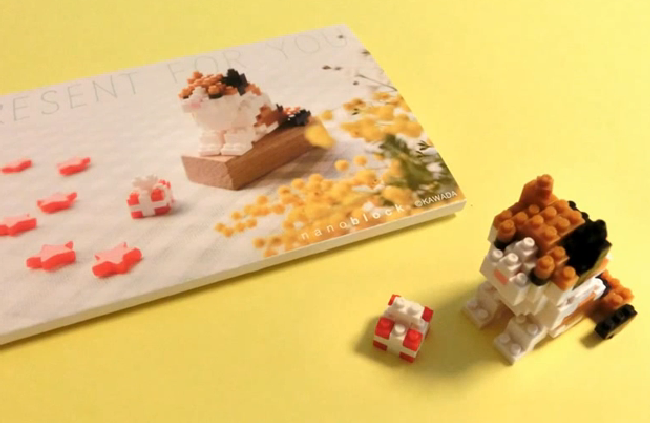 Postcard with super-mini size nanoblock® which you can build cute animal. 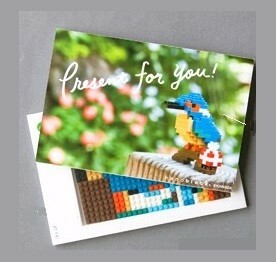 Just send your greeting with the unique postcard! 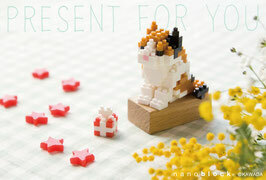 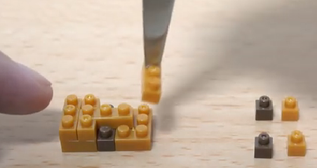 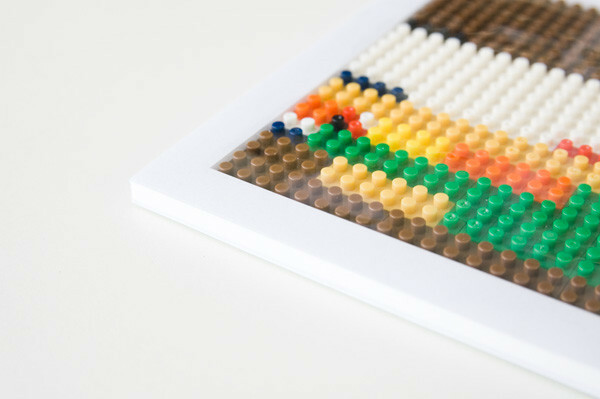 nanoblock® is a revolutionary Japanese toy block, the smallest brick is just 4 x 4 x 5 mm in scale. 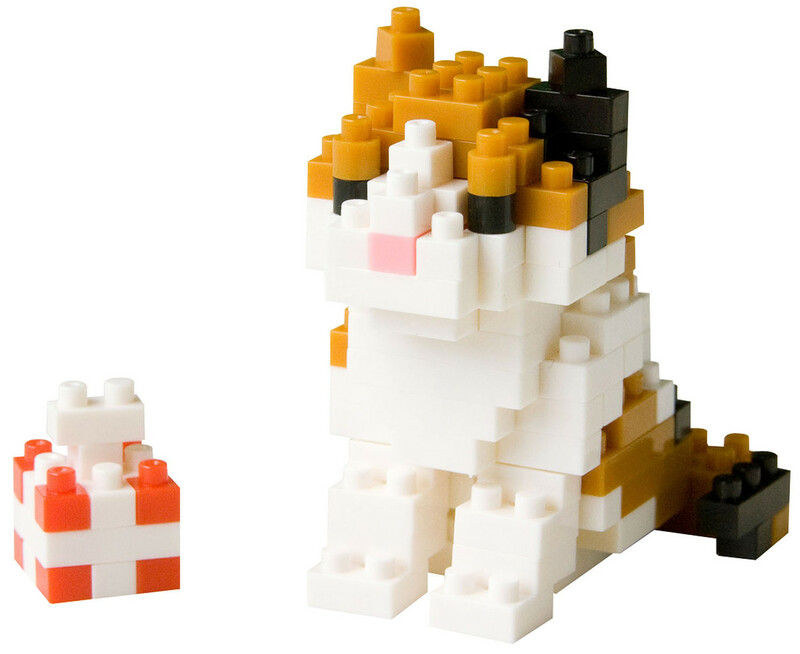 They were first introduced into the Japanese market in 2008 by Kawada Co., a toy company based in Tokyo, Japan. most popular card line with nanoblock® set included. Send a surprise gift and express appreciation to your friends and family with these unique nanoblock® cards! 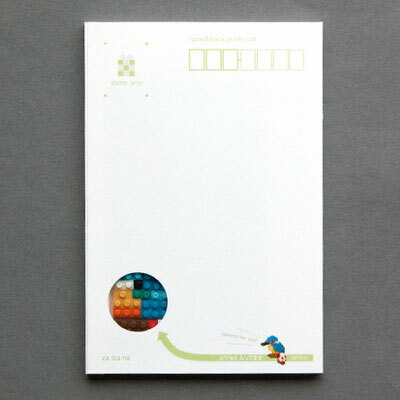 post office and ask about postage. 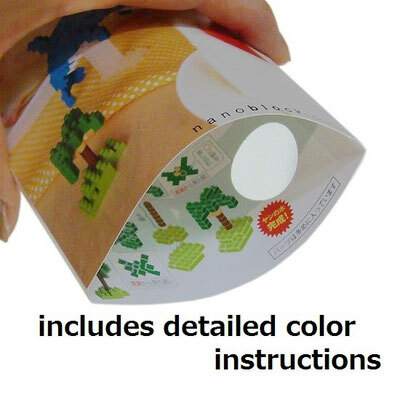 ● Not suitable for children under 12-year-old. 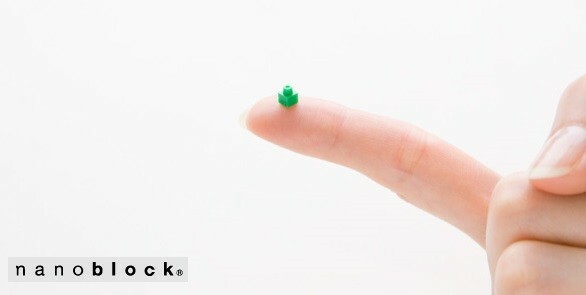 ● Please keep away from children and pets not to accidentally swallow. ● Please be careful when you open the sticker of nanoblock, small component might be scattered. 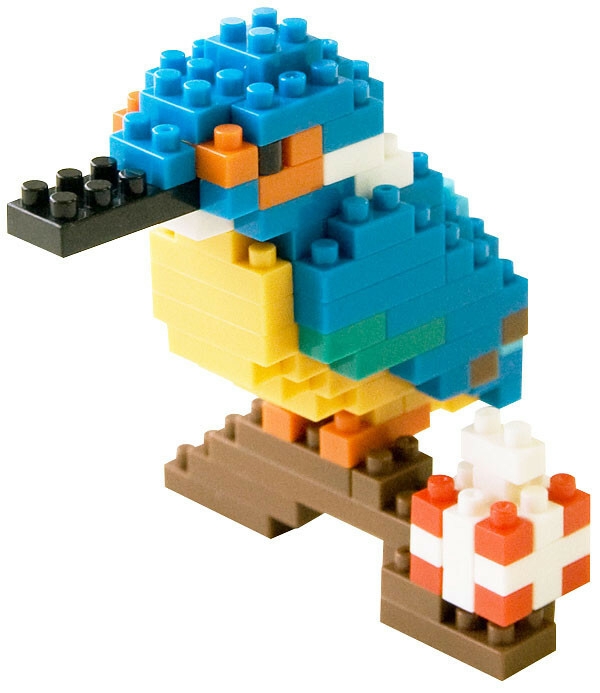 ☆ present for you card "Kingfisher"
Inside: nanoblocks to assemble a "Kingfisher with gift box"
☆ present for you card "Cat"
Inside: nanoblocks to assemble a "Cat with gift box"
☆ message card "Mallard and Duckling"
Inside: nanoblocks to assemble a "Mallard carrying a gift box and Duckling"
postcard with nanoblock "Mallard & Duckling"